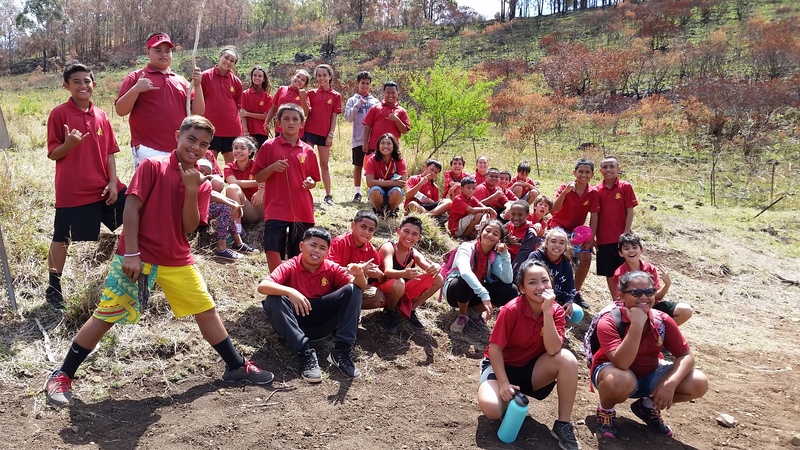 In 2016, Mālama Learning Center embarked on a partnership with Camp Pālehua (formerly known as Camp Timberlne), a day and residential environmental education facility on the slope above Kapolei. Under new ownership and management, Camp Pālehua strives to be a core component of a conservation hub that also includes the Wai'anae Mountains Watershed Partnership, and management of conservation lands by Gill 'Ewa Lands, LLC. While Mālama Learning Center does not manage Camp Pālehua, we are an active educational partner. We bring groups of students, teachers, and community members up to Camp for one- to multi-day learning experiences as well as facilitate hands-on adventures for groups coordinated directly by Camp staff. 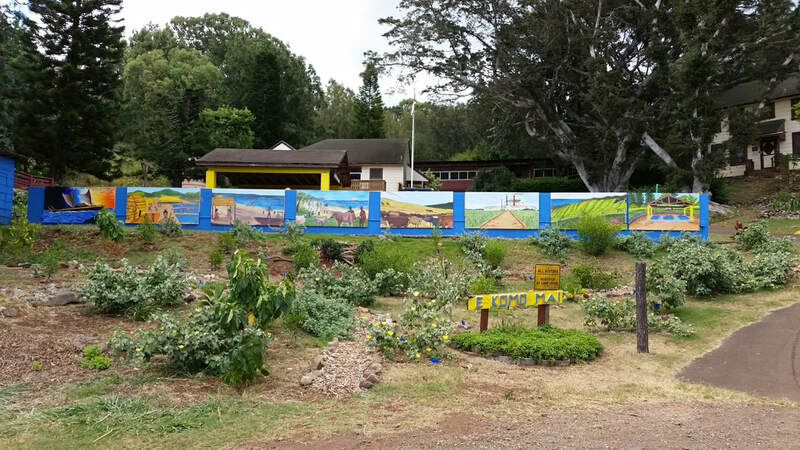 Our home base is now located at Camp Pālehua and we have begun to transform the landscape with a native Hawaiian dryland forest demonstration garden with a beautiful Honouliuli timeline mural created by students of Kapolei Middle School. We have also started a food and medicine garden along with the Camp's hot compost system, recycling food waste from the dining hall and landscape clippings. Transformation and regeneration are two words aptly describing our contribution to Camp Pālehua and adjacent lands. In fact, our Ola Nā Kini program emanates from Camp Pālehua. For general information about reservations at Camp Pālehua, please call 808-347-0736 or go to the Camp's website. You may also contact Mālama Learning Center directly for custom program opportunities for students, teachers, community groups, and businesses.